You are here: Home / iPad / What If iPads Wore Clothes? 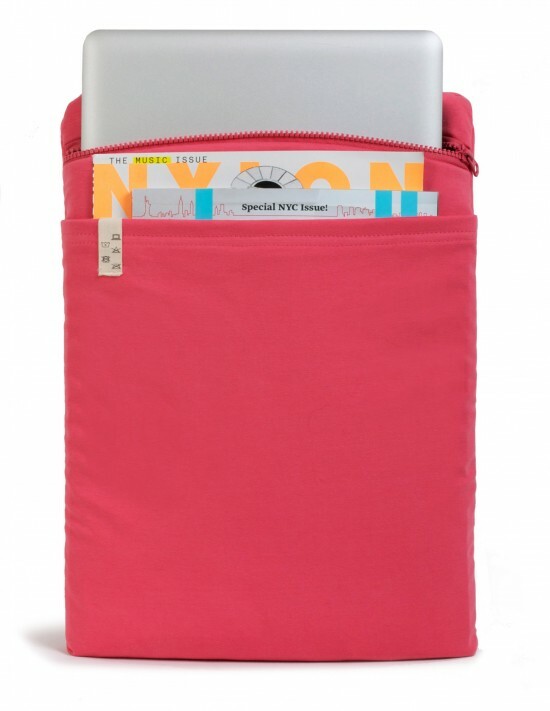 What If iPads Wore Clothes? The iPad: it’s sleek, it’s hip, it’s awesome. But is it fashion? One startup hopes to make clothes for computers and tablets as popular as Gap or Abercrombie. In reality, we’re talking about computer sleeves that look like apparel. It’s one of the most interesting and unusual iPad cases I’ve seen yet. But before you scoff, this could actually serve a useful purpose. 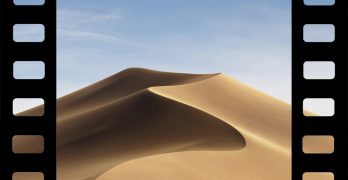 Namely, disguising your beloved iPad or MacBook Pro so that would-be thieves might not realize what they’re looking at, because it resembles a neatly folded-away shirt. 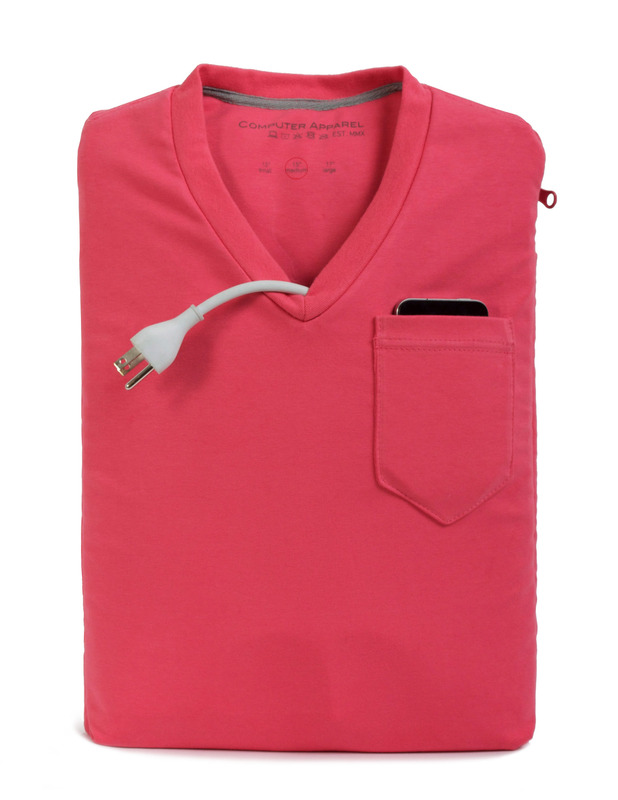 Computer Apparel’s padded “computer clothes” sleeves are also machine washable — you can throw them in right alongside your own clothes — and even come in V-Neck “business casual” styles with a zipper for tucking your laptop or tablet safely away inside. Completely handcrafted with a front breast pocket (for your iPhone, of course) and a full-sized rear pocket, the V-Neck computer sleeve starts at $49.99. Check out the pictures below. What do you think?